On December 5th, 2014, the audience attending the Paradise Valley Estates annual Christmas tree lighting program, had a big surprise when fellow residents and staff members danced a flash mob, choreographed and led by Erin Parsley. You're never too old to stretch, breathe, move and feel good in your body! Erin specializes in working with senior citizens - at all ages and stages of physical abilities (including those in wheel chairs). She loves seeing the transformation that occurs as she leads them in shaking off the doldrums - and experiencing an amazing new sense of vitality, happiness, and enlivening energy! 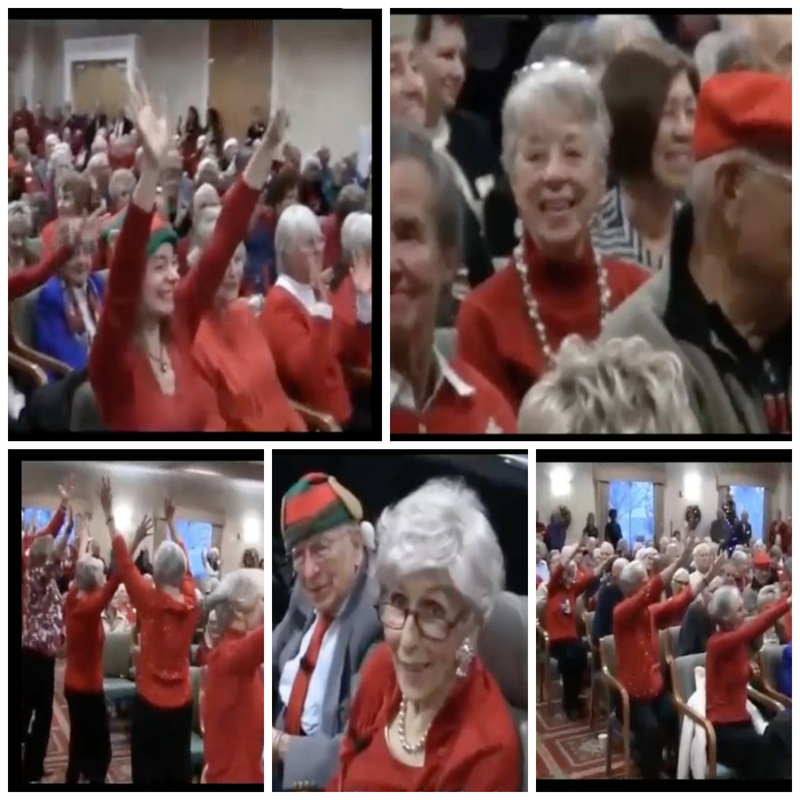 Whether through her Seniors Life Dance classes, or through special events she creates like this surprise flash mob (see video above) at a retirement community holiday tree lighting event - Erin will inspire those in the golden years of their life to find their own invigorating Life Dance! “I hired Erin Parsley because of the beautiful letter she wrote, where she expressed her commitment to having dance available to people of all ages, and I just like the whole vibe of her, so I hired her to do the flash mob. And I can tell you I’ve been very, very pleased with the result. She’s been very patient, and very understanding of our special needs people; and a lot of fun to be around - a very gentle, fun person. I’m definitely going to hire her again. Maybe even to do some kind of dance therapy with the most frail of my seniors.